4 Animal Protein Sources for High Energy Needs and Lean/Strong Muscles. Sophisticated Tastes- When it comes to taste, small breed dogs have discerning palates. 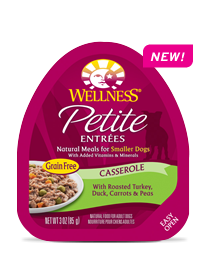 With satisfaction guaranteed, we use real turkey to provide a natural taste that little dogs love, without loading their diet with fat. Higher Energy Needs- The extra energy your small dog needs should come from protein and not just fat. To help maintain optimal weight and healthy body mass, we use 4 quality animal protein sources including deboned turkey, chicken, salmon, and menhaden fish meals. Available in: 4 lb. & 12 lb. bags. Calorie Content: This food contains 3,740 kcal/kg or 420 kcal/cup ME (metabolizable energy) on an as fed basis (calculated). 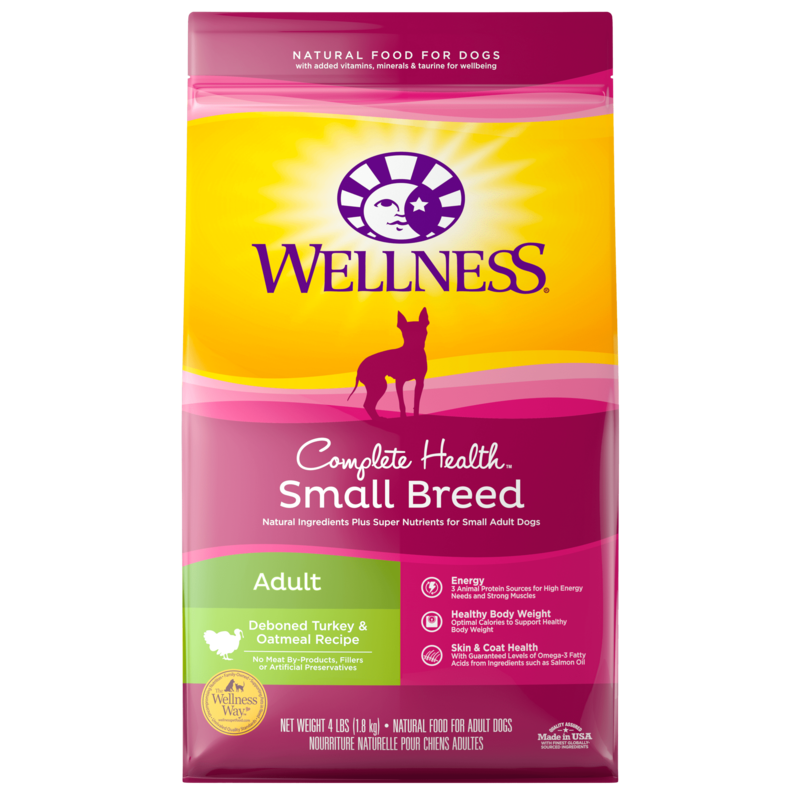 Wellness® Small Breed Complete Health Adult Turkey & Oatmeal Recipe is formulated to meet the nutritional levels established by the Association of American Feed Control Officials (AAFCO) Dog Food Nutrient Profiles for adult maintenance.